The Left Wing: Ireland vs England fallout - how much does the 2019 Six Nations really matter? The mood may have been sombre in the aftermath of the comprehensive defeat to England in the Six Nations at the weekend, but for Luke Fitzgerald, it's about looking to the bigger picture. "This is not the end of the world. Everyone just calm down. Let's for once in our lives say it’s about the World Cup," Luke told Will Slattery and Cian Tracey on this week's episode of the Left Wing. "Who cares about the Six Nations? We have a chance to do something special with this team in the World Cup." Apart from the players' lack of physicality, the lack of atmosphere was also an issue. "It shouldn't take the All Blacks coming to town for there to be an incredible atmosphere," said Cian. "It was so noticeable coming up to kick-off how empty the stadium was." In the short-term there's the game against Scotland to come and the panel reckon Ireland will do it and not repeat the mistakes from the English game. "They haven’t delivered this time, it’s ok, they’ve a great coach to put things right and they’ll beat Scotland," said Luke. Subscribe to The Left Wing, Independent.ie's Rugby podcast in association with Aldi, with Luke Fitzgerald and Will Slattery for the best discussion and analysis each week. From in depth interviews with some of Irish rugby's biggest stars to unmatched insights into the provinces and the national team, The Left Wing has all your rugby needs covered. 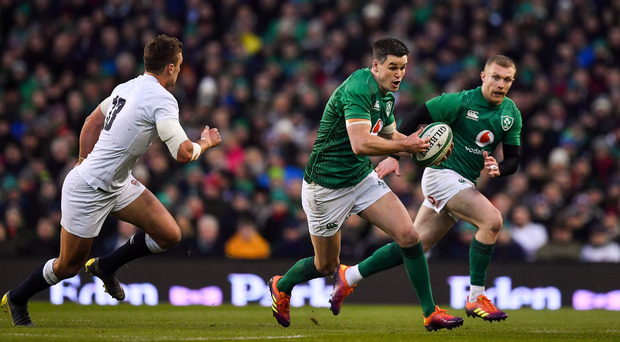 The Left Wing: Six Nations Preview – more glory for Ireland, Jones under pressure and Wales to upset the odds?